Tiger Woods on Friday took the lead at the Valspar Championship in Florida. While Woods’ play on the first day was up-and-down, he finished tied for eighth and began the second day strong. 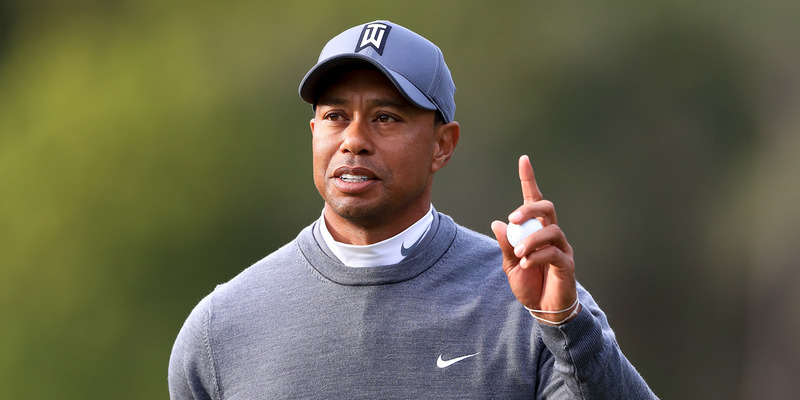 Golf Channel’s Brandel Chamblee called Woods a “magician” and said Woods had re-created his game. While Woods isn’t all the way back yet, notably struggling with his driver, his latest play has been the most encouraging development in years. Tiger Woods’ latest comeback attempt is off and running and looking more encouraging than any of his other bids in recent years. As of Friday morning, Woods moved into sole possession of the lead at the Valspar Championship in Florida, shooting 5 under par through 14 holes. Woods’ first day at Valspar had a bit of everything as he finished 1 under, tied for eighth, and three shots off the lead. He seemed to waffle between birdies and bogeys and was inaccurate at finding the fairways. Yet to expert observers, Woods looked different – and better – than he had in years. “He’s just re-created himself. I don’t even recognise him anymore,” the Golf Channel analyst Brandel Chamblee told ESPN’s “Golic and Wingo” on Friday. The conditions didn’t help on Thursday, with Woods saying “I don’t know if these people really understand how hard it was out there trying to pull a club, trying to figure out the wind direction, the gusts.” Yet his short game looked good, and he even had a few vintage Tiger shots, smacking the flag on the second shot from a fairway. In Chamblee’s view, the two biggest concerns about Woods heading into the tournament were his back and his scrambling ability. In recent years, Woods has struggled to get on track after missing the green, but on Thursday it was his short game that looked strongest. Chamblee also noted that Woods foraged into the thick to retrieve a ball, taking a risky shot to get it back onto the fairway. Chamblee believed Woods would not have risked the shot if his back were anything less than 100%. On Friday, Woods’ short game remained strong, sinking a putt for a birdie to move into a tie for the lead. Chamblee insisted that if Woods wanted to contend again, he would have to improve with his driver. Given his history of back issues, and how early Woods still is into his comeback, that may be a later development. But considering Woods’ roller-coaster ride over the past two years, from comebacks to positive rounds to more injuries and recoveries, his latest stretch of golf has arguably been his best since 2014. On Friday, Chamblee forecast how Woods could remain in contention. It appears Friday is Woods’ hot round.